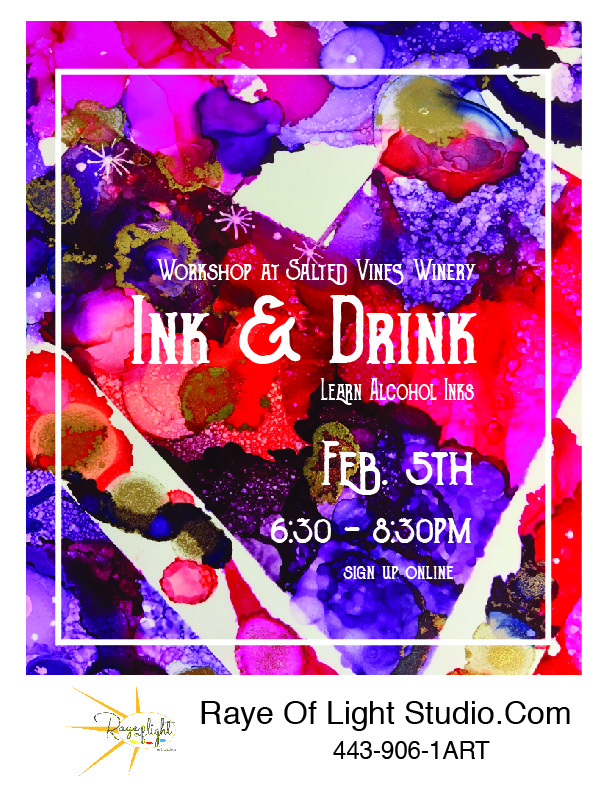 Come learn the art of alcohol ink , when we are guest’s of Salted Vines Winery’s for Ink and Drink! You will be introduce to how the inks work together with a demo and then a practice run, before you create your 8 by 10 piece. These colorful, fun inks are playful and lead to surprise yet beautiful endings! Explore color and design. Go with the flow of alcohol inks. All art supplies and instruction are included for this Feb.5th workshop starting at 6:30.